It’s not often I get to drink a whisky that’s going to be sold at £550 a glass. It’s even rarer that such a whisky would only be the second most expensive whisky of the evening, and cheap in comparison. But that’s what happened last week at Rosso, in Manchester. You see, Rosso, which is owned by Premiership footballer Rio Ferdinand, boasts a fine whisky selection. They know their stuff (apart from the bottle of Haig Club I spotted on sale, but I guess you can’t win ’em all). 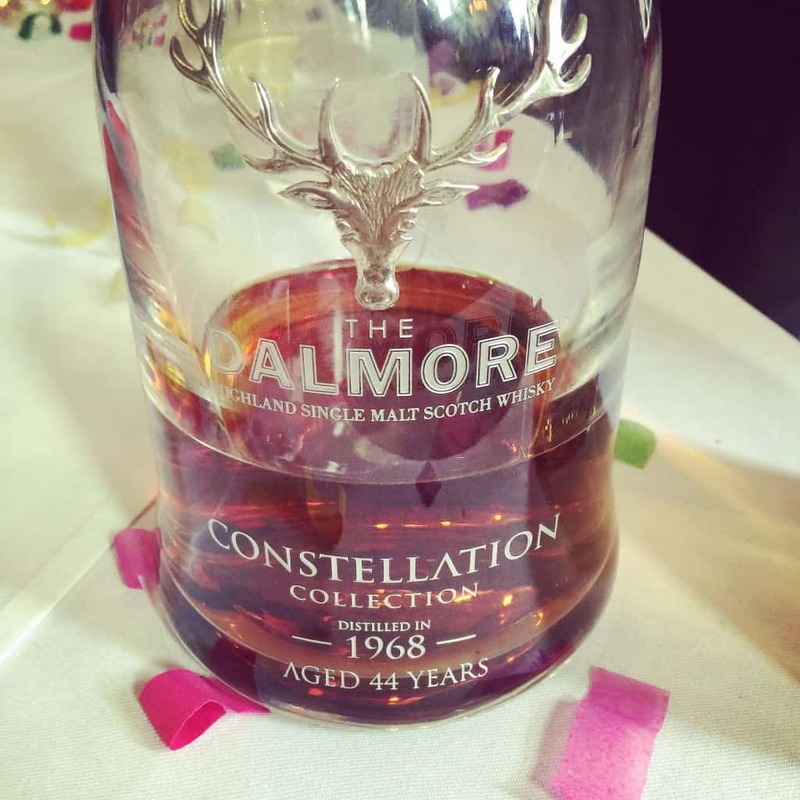 One of the great additions to Rosso’s range is going to be one of The Dalmore Constellation Collection. It’s a single malt that was distilled in 1978 – which is Rio’s year of birth – so it’s not unsurprising that Rosso wanted this whisky behind the bar. To celebrate this occasion, they had a bit of an exclusive event. 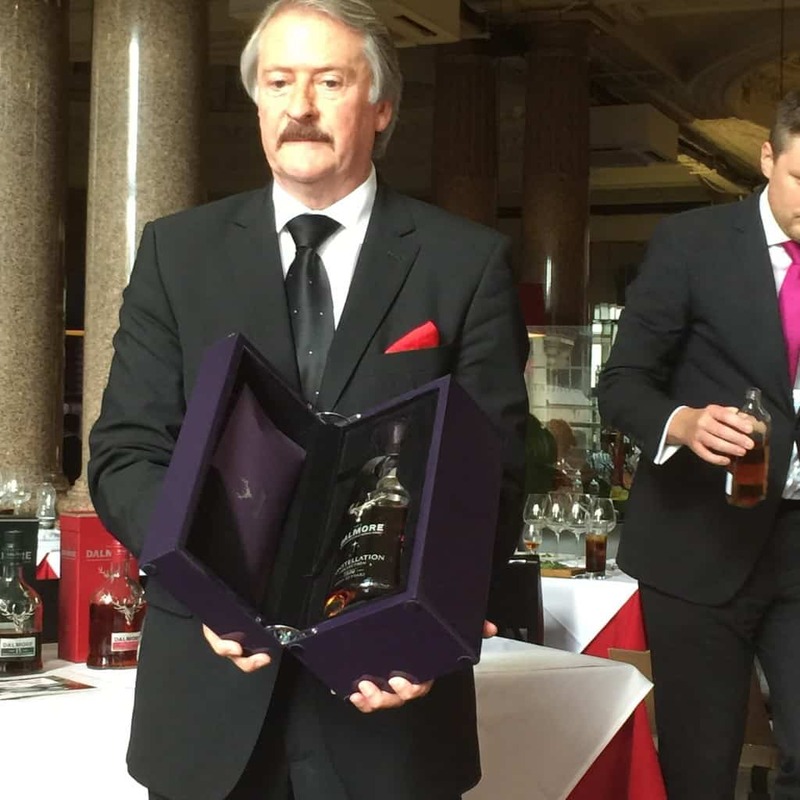 They invited Dalmore master blender, Richard Paterson, to conduct a special tasting. Long-term readers of Malt will know I’m a fan of The Dalmore. 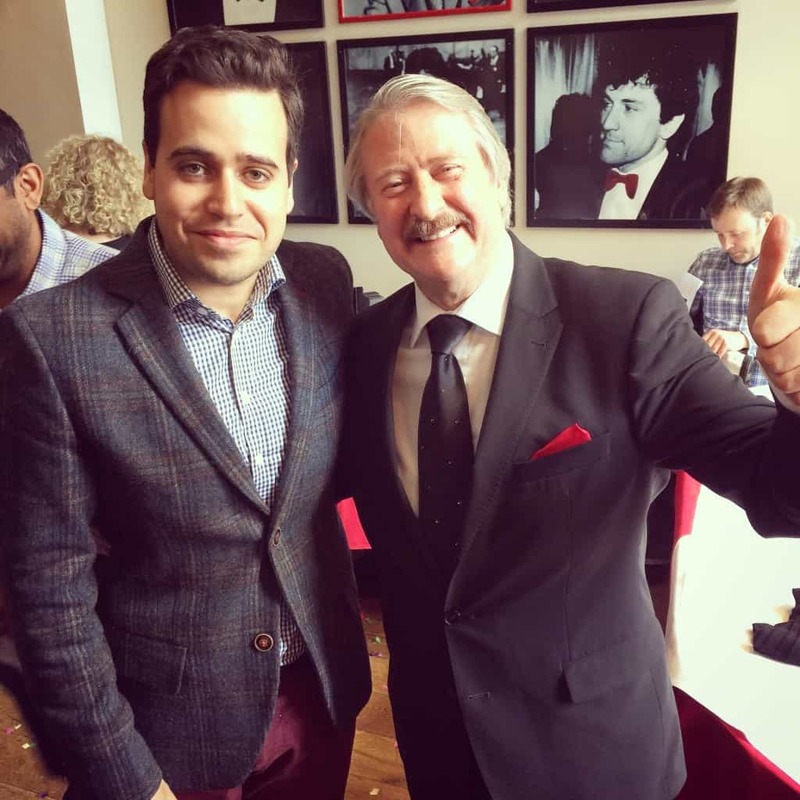 So when Dalmore Brands Manager Paul Williams – who I’d met a couple of times at the Midlands Whisky Festival – asked if I’d like to attend a tasting hosted by Richard Paterson, I jumped at the chance. 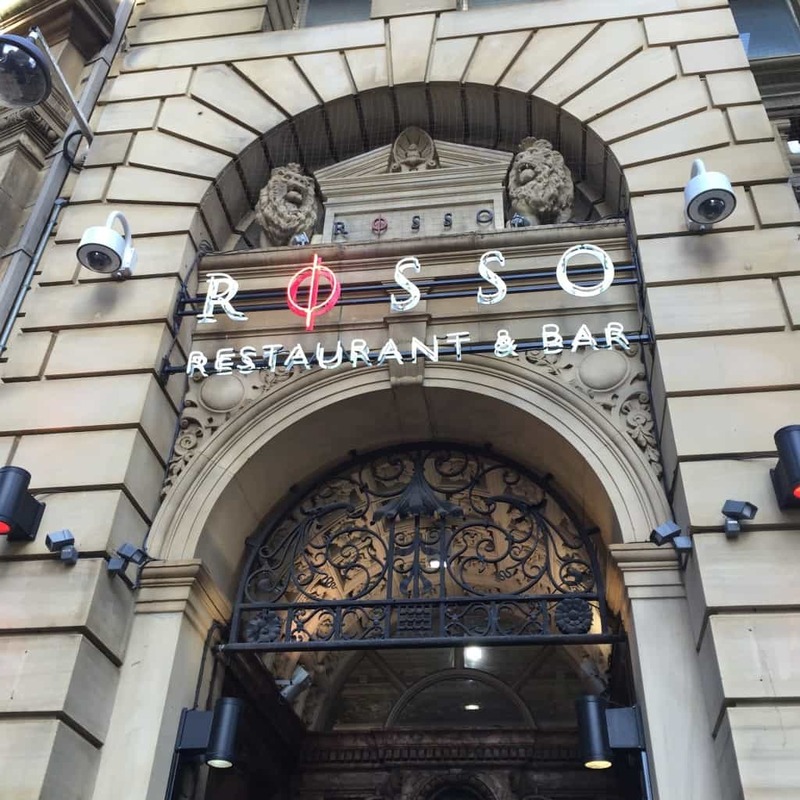 I went into Rosso last Thursday afternoon. It’s a pretty swish place, with Grecian-inspired decor and walls adorned with celebrity photos (proper celebrities, not the kind you see in Blackpool chip shops). You almost still expect to see famous people there, and if I followed pop culture closely enough I might have noticed someone hiding from the paparazzi. The tasting itself was attended by only about a dozen people, a mixture of trade reps, local spirit merchants and journalists. We went up to a side area where Richard Paterson greeted us with warm handshakes and a big grin. After a few introductions, where the above context was given, Richard was off. If you’ve never seen any YouTube clips of him in action, they’re quite engaging affairs. It’s theatre. He swirls whisky around in glasses and then throws it onto the floor (or onto other people, as was the case). He asks you to keep the whisky in your mouth for a heck of a long time so you can get all the flavours. He tells you if you put ice in the glass, he’ll kill you. He pressed his lips against the hands of a young lady, like some kind of 50s film star. What’s particularly impressive is that during all of this entertainment and education, there was a huge amount of detail. As he went through the history of whisky, of The Dalmore and the families involved in steering the distillery safely through to the 21st Century, he recalled a staggering array of details and dates (almost to the hour). Richard also talked in terms of other artists as well, reeling off the details of famous paintings such as the iconic ‘Death of the Stag‘. He recalled the names of people there, including the staff, which was all rather classy, but demonstrates his showmanship. And that’s really what came from this – it was entertainment from a master blender who had honed his skills over decades. We started off tasting the Dalmore 15 Years Old, followed by the Cigar Malt, King Alexander III and the 25 Year Old. In between the tastings, the restaurant at Rosso brought out some really amazing canapés. I often like the vertical tastings of this kind, which you don’t often get the chance to do, because you get to see the connections and threads between each of the whiskies. It was particularly interesting to get an insight into the production. 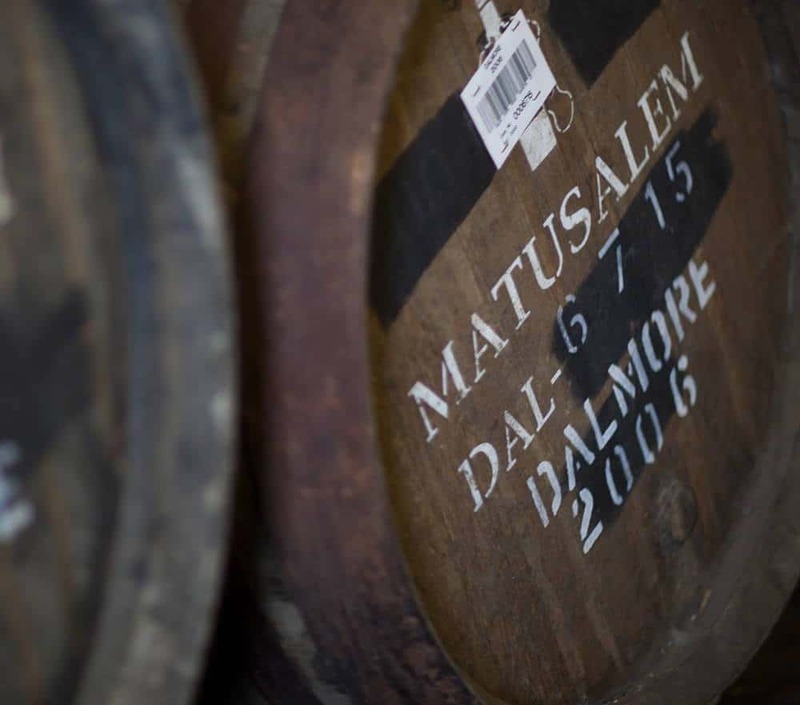 For example, The Dalmore uses very expensive casks, too. Their very old sherry casks (which are made from European oak, and not American white oak as is often the case with sherry casks) are from Gonzalez Byass, with whom the distillery has a century-old connection. Each cask, shipped over with a few litres of sherry still inside, cost £1,000 a go. 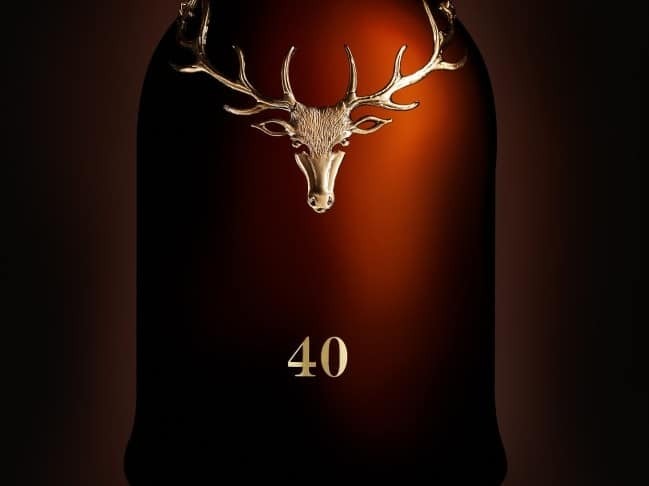 And, of course, The Dalmore makes some of the world’s most premium Scotch whiskies – such as the Constellation series. This range of whiskies consists of the “complete spectrum of vintages” from between the years 1964 and 1992. There are 21 single cask whiskies all in all and it took Richard 15 years to create the range. They are very expensive, and the stuff of legend. I was lucky enough to try two of them. This was the reason we were all here. It was distilled just a day away from Rio Ferdinand’s birthday in November 1978. Rosso will be selling this for £550 a glass. As it happens, I had two glasses as the place next to me was empty… well it’d be a shame to waste it, right? Having spent time in American white oak and the last few years in Matusalem sherry casks, it’s bottled at 47% ABV. I had no idea about the first whisky, let alone this. Distilled in 1968, it’s a 44 year-old whisky that has not actually gone on sale yet. But if it was, it would cost… £22,000 a bottle. That’s right. Read that again. £22,000. It was delightful. Treacle, blood orange, strawberry jam, cinnamon, walnut, but with the boldness of old wood: pencil boxes, leather, tobacco. With a lot of old whiskies there can be a touch of bitterness, but this maintained that exceptional marmalade-sweet Dalmore velvety quality. Baked figs, dates, crushed almonds. It goes on and on and on, and it’s incredibly mellow. If I’m honest, I possibly preferred the 1978 – which was just divine. Can I recommend either of these? Most of you would think at these prices it’s silly territory. I couldn’t help but think, yes, they’re exquisite whiskies and this was a memorable day, but would I put my hand in my pocket for a bottle? As Richard explained earlier on in his talk, this is the age not of millionaires, but billionaires. People who have offspring that feature on the Rich Kids of Instagram. Maybe a billionaire reads this blog? There is a market for these people, and many distilleries would be foolish not to cater to that market if they want to be profitable. This is a business, after all. And you know what? I’m not the jealous type. 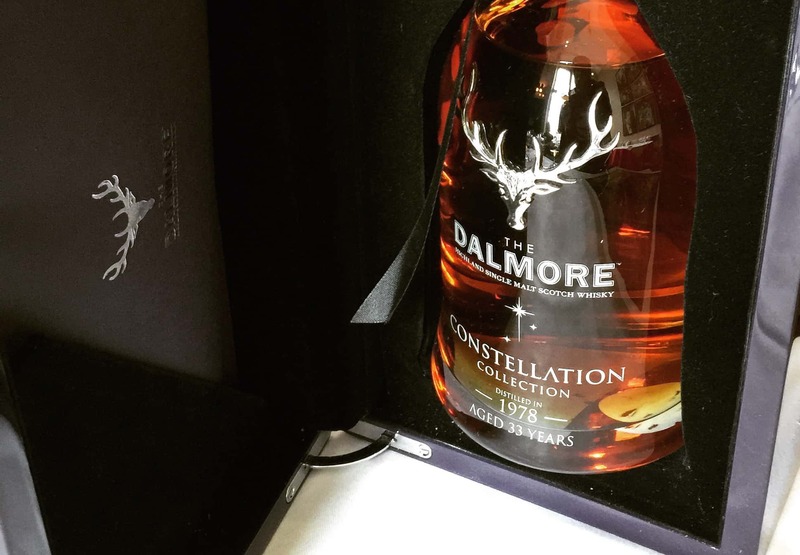 If I was one of those Rich Kids of Instagram or whatever, I probably would throw my money at the Constellation range, or even the super-premium Dalmore Paterson Collection. It’s probably cheaper than wrapping my Lamborghini around a lamp-post – right? I suppose as an absolute super treat you could squirrel yourself away in Rosso and try a glass of the Dalmore Constellation 1978. And, indeed, if you’re a well-to-do businesswoman and this is within your budget, or you’re a Premiership footballer (or indeed the partner of one) then you should totally do this if you have the means and the need to celebrate. I do feel brave enough to say that this whisky was superb, and you will enjoy it. For us mere mortals, though, there is still a core Dalmore range and it is very good. (And I really should buy a bottle of the Cigar Malt at some point soon.) One of Richard’s favourite whiskies is the Dalmore King Alexander III, which I’d recommend as well. At £120 a bottle, that’s enough of a treat for many of us. It was an amazing afternoon and such an honour to see a whisky hero in action. Thanks to the guys at Rosso, who put on a fantastic event, and to the team at The Dalmore – notably Paul – for inviting me along. 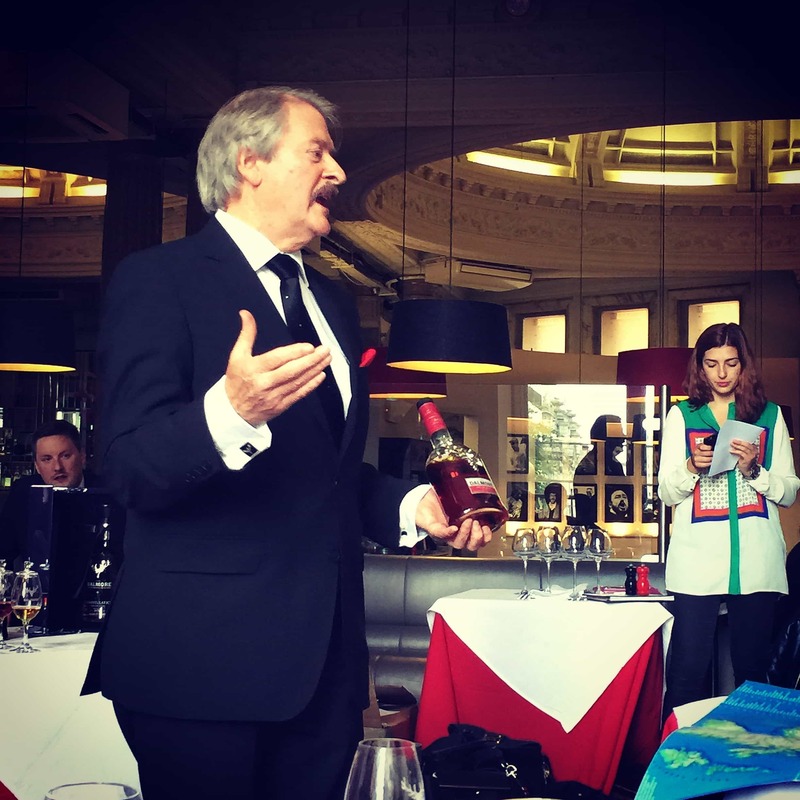 I’ll leave you with this short clip featuring Richard Paterson on tasting whisky, which was made by the Dalmore, which may give you a flavour of what it’s all about. Superb piece and what a tasting!! Thanks, Greg! And absolutely. Doubt I’ll have anything as expensive in my mouth again.